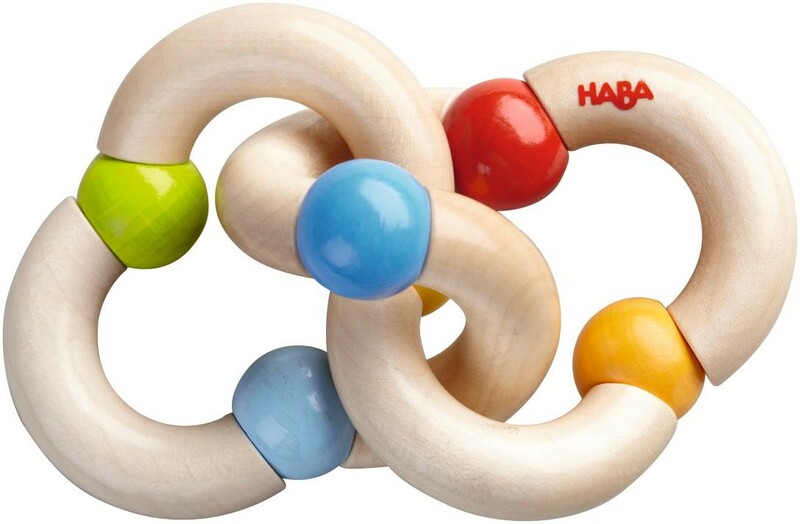 The Color Knot Clutching Toy by HABA is easy for baby to grasp Made of sustainable beech wood and colored with non-toxic, water based stain, this toy is ideal for developing motor skills, spatial awareness, and natural curiosity and creativity. Made in Germany. Recommended for ages 10 months and up.